Avantika Naik is just one Ranger who has climbed the Black Belt ladder. Last January, she was awarded her Third Degree Black Be lt at the PBK Black Belt Spectacular. She has come a long way since joining the Personal Best in Foxboro when she was five. "My parents wanted me to learn self-defense," she recalled. "I just loved everything about it." Her favorite part of her training is the sparring program. "I love sparring because you get to choose the techniques - you have to decide in the moment whether to move forward or find an opening," she explained. "It incorporates stamina, reaction and thought process." Training for her Third Degree was "very difficult - I was so nervous," she admitted. "everyone was so helpful and willing to help as I was going for Third Degree." She said she was constantly working harder "but it's worth it." Her instructor, Master Saeed Mansour, states Avantika's self-discipline is apparent. "She is a hardworking individual who has a way of making challenges seem effortless though discipline and preparation," he said. A soccer player at Mansfield High School, Avantika said the sport helps her keep up her stamina since there is a lot of running in it. She is also on the Math Team and is planning on taking physics this year as a junior. 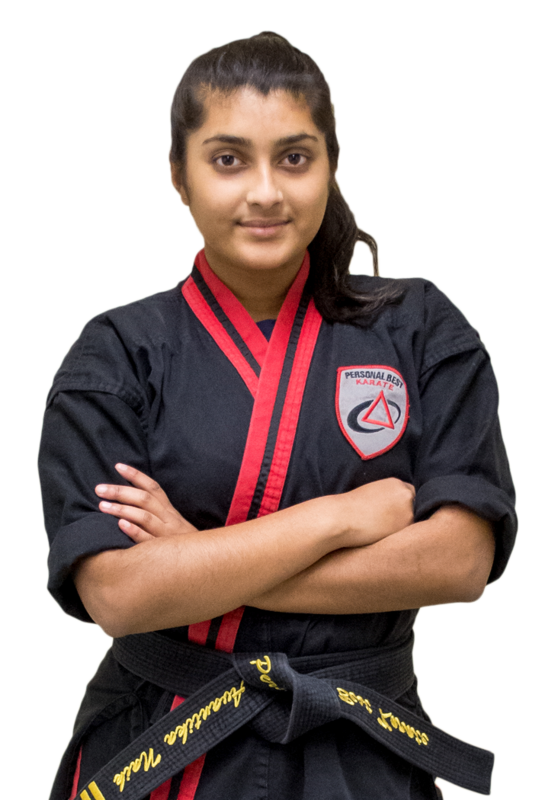 Her younger brother Tejas is a First Degree Black Belt and currently training for his Second Degree. Avantika credits PBK for teaching the character values, "like how to be polite, honest, kind, a good person. How you should be your personal best," she said. But what it boils down to for her is the camaraderie. "I love the atmosphere and the people."